Traveling with kids can be hard work, especially when they are young! If you’re planning on visiting Thailand with your family, then you need to have a diverse and engaging schedule in mind, to keep your little ones from getting the holiday blues! To do this, you need a list of the best family events and festivals in Thailand in 2019! Despite its reputation for seducing 20-somethings looking for a good time, Thailand is also a fantastic destination for families, with a wealth of activities and events for all ages. In fact, the country even celebrates National Children’s Day every January and many of its celebrations are aimed directly at youngsters! Here, we explore the greatest family events and festivals in Thailand in 2019, as well as the coolest family things to do in Thailand in 2019, so you and your tots will never be short of fun experiences to keep you all entertained. Of all the family events and festivals in Thailand in 2019, Wonderfruit is sure to offers the most variety! Guaranteed to keep both adults and children amused, the annual creative festival is both cultural and mindful, celebrating everything from art to wellness and music to food. Perfect for all ages, the event is super family-friendly with a dedicated ‘Camp Wonder’ for you to safely pitch your tents. If you prefer to go for the day, you and your tribe will be able to enjoy Thai cooking classes, bamboo weaving, yoga sessions and of course, plenty of dancing! Of all the family festivals in Thailand in 2019, Wonderfruit is sure to entertain! Don’t fancy camping? 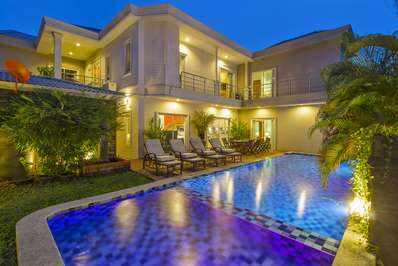 Check out our gorgeous family-friend villas and apartments in the heart of Pattaya. Visiting Krabi Elephant Sanctuary will definitely be one of the greatest family things to do in Thailand in 2019. Thailand is full of similar facilities, but this is the first ethical elephant experience and is dedicated to responsible tourism. The sanctuary offers a home to tired elephants who have worked all their lives, rescuing the gentle giants and allowing them to simply be in their natural habitat. A visit will allow you and your family to feed the elephants, walk with them, swim with them and observe them as they bathe in the sanctuary’s fresh water lagoons. The perfect experience for all ages, we can’t think of many better family things to do in Thailand in 2019, can you? Songkran will be one of the ultimate family events in Thailand in 2019! Thai New Year, also known as Songkran Day, is a wet affair! As one of the most fun-filled family events and festivals in Thailand in 2019, Thai New Year is one big water fight! On this day, the whole country lets loose as families come together to celebrate the start of a brand new year. As well as water throwing, spiritual blessings are given to encourage good luck for the coming months. Take your family to Chiang Mai, where the festival lasts up to five days, or if you prefer a more spiritual event, head to the Ping River for communal bathing and prayers, because Songkran will be one of the greatest family events in Thailand in 2019. A foodie adventure will be one of the best family things to do in Thailand in 2019. Experience a new side of Bangkok, by taking your family on a watery adventure. Journey along the Chaopraya River to Thonburi, Thailand’s ancient capital. Known for its food and friendly locals, Thonburi invites you to enjoy an authentic taste of Thai cuisine, eating freshly cooked dishes straight from the pan. Operated through award-winning firm Bangkok Food Tours every day from 8.45 am until 2 pm, this adventure will allow you and your tribe to truly connect with the Thai people. Of all the family things to do in Thailand in 2019, a foodie adventure has to be one of the most exciting! Need somewhere to stay during your adventure? Explore our gorgeous villas and apartments, perfect for your family’s vacay! The Lantern Festivals are great for family vacations in Thailand! Across Thailand, numerous lantern festivals annually light up the skies, and they truly are a wonder to behold. Of all the family events in Thailand in 2019, Loy Krathong and Yi Peng light festivals make for the most magical memories. These events take place on the same day of the full moon in November and are celebrated across the country by the releasing of paper lanterns. Head to Chiang Mai, Bangkok or Sukhothai for the most spectacular Loy Krathong illuminated displays, or if you’re in northern Thailand, Yi Peng will see hundreds of lanterns, decorated with good luck charms, released into the sky. Of all the family festivals in Thailand in 2019, this is truly unmissable. Looking for more amazing free activities in Thailand? Take a look at our dedicated guide here. Experience history with one of the coolest family events and festivals in Thailand in 2019. Delving into history is a fantastic way to keep your little ones entertained, and what’s better than enjoying one of the best family festivals in Thailand in 2019? The River Kwai Bridge Festival, or River Kwai Bridge Week, offers an incredible show of lights and sound, to retell the stories of the Second World War. The annual events honors the prisoners of war who built the Death Railway, the Hellfire Pass and the now world-famous bridge over the River Kwai. Watch the show unfold, enjoy nighttime fireworks and folklore shows, before taking a train trip along the railway itself. 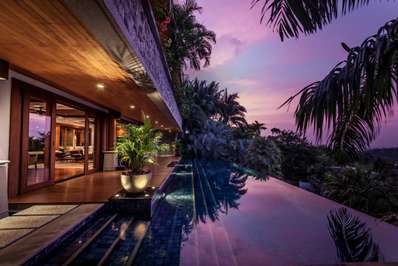 We can’t think of many better family things to do in Thailand in 2019, can you? One of the most fun family events in Thailand in 2019 is also one of the strangest! The Lopburi Monkey Banquet is just as the name suggests – it’s a buffet for the wild monkeys that roam around the ruins of Phra Prang Sam Yot temple. Each November an estimated 3,000 macaques attend the dinner party, and you and your family can watch the crazy feast unfold. An estimated 4,000 kilograms of food is served, laid out on tables for the monkeys to enjoy – just remember to keep your distance, as these fluffy creatures don’t like to share their meals! Buses leave Bangkok’s Northern Bus Terminal every 20 minutes and the journey takes around three hours. 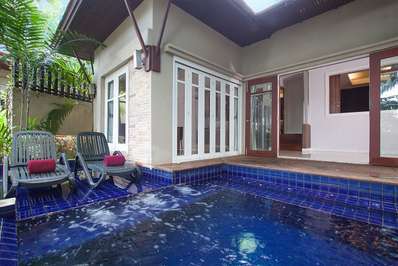 You can also take the two and a half-hour train journey from Bangkok’s Hua Lamphong station. When the Shan people fled Myanmar’s civil war to seek refuge in neighboring Thailand—itself already home to a large Shan community—they brought with them their Buddhist faith and their unique traditions, including the ceremony known as Poy Sang Long. One of the largest and most important Buddhist ceremonies in Shan culture, Poy Sang Long is a rite of passage for Shan boys, who as early as age seven are ordained as novice monks and introduced to the study of Buddhism. Join us as we check out the festivities in Northern Thailand on Neocha.com/magazine – link in bio. One of the ultimate family festivals in Thailand in 2019 will be Poy Sang Long. A rite of passage for local boys, the event sees kids aged between seven and 14 dress up and be carried through the temples of Wat Ku Tao and Wat Pa Pao, to be appointed as amateurs of the Buddhist faith. Colorful and fascinating for the whole family, head to one of the temples to witness the celebration unfold, and be sure not to miss Rup San Long day, when the boys will have their eyebrows and heads shaved before being blessed. Of all the unusual family things to do in Thailand in 2019, Poy Sang Long is a must see! Of all the family festivals in Thailand in 2019, Lai Reua Fai will be one of the most unmissable. Dazzle your children at this incredible annual celebration, where huge illuminated floats travel along the water by Wat Tha Lueng Temple. Celebrated in the north of the county, the event draws an end to Buddhist Lent. The procession of on-fire boats is said to welcome Buddha back to earth from heaven, during the three-month lent period. The fire boats, of Reua Fa, are each decorated with flowers, incense and candles, and set off to float along the Mekong River as night falls. Ubon Ratchathani Candle Festival is sure to be one of the most unique family events and festivals in Thailand in 2019. Ubon Ratchathani Candle Festival will certainly be one of the most unusual family events and festivals in Thailand in 2019. Each July the festival sees giant wax sculptures be paraded through the streets of Ubon Ratchathani. Marking the start of Buddhist lent, each giant and elaborate wax float represents a different temple or institution and you and your tots can see the statues up close the day before the procession, on display in Thung Si Mueang park. Of all the family things to do in Thailand in 2019, this will be one of the most fascinating! If you’re intrigued about the country’s other unusual experiences, take a look at our guide to the 10 weirdest things to do in Thailand.